Keep the filter clean. | Bills Sales and Service - Refrigeration, Ice Machines, Heating and Air Conditioning in the Branson - Tri Lakes Area. 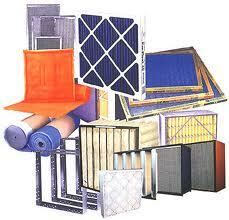 Keep the filter clean: Clean and replace the air conditioner filter frequently (check the filter once a month). This is especially important during the summer when dust and allergens circulate. If the filter becomes clogged, your system will have to work harder to supply the same amount of cool air.